Dolceolas were made from 1903 to 1907 and were sold for $25 by traveling salesman. 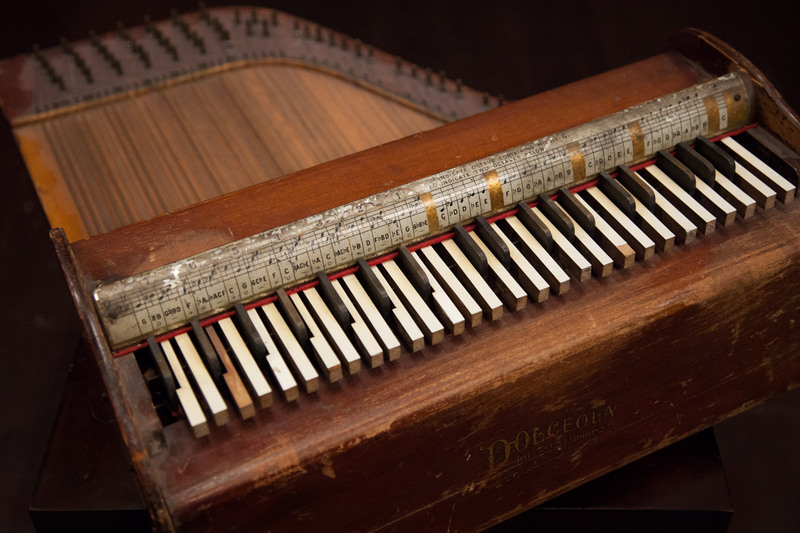 This short-lived curiosity looks sort of like a tiny piano but is from a family of early 20th Century instruments called fretless zithers. 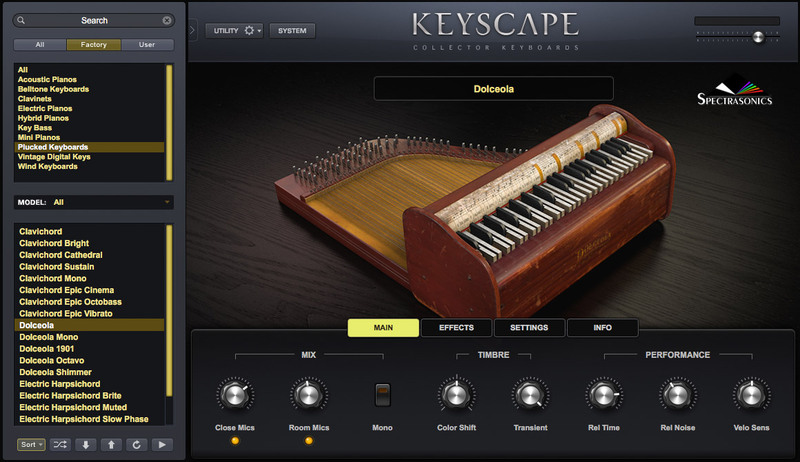 It has a small piano-like keyboard with hammers that strike one string per note. Although the name implies a sweet tone, its brittle, honky-tonk quality is part of its charm. We recorded with stereo close mics and room mics. There were as many as 5,000 Dolceolas made, but the number of playable survivors is said to be fewer than 50. The first commercial recording of the Dolceola was made in 1944 for Capitol Records' Southern Folklife Collection on which Paul Howard, a Disney songwriter, used one to accompany blues guitarist, Lead Belly. T-Bone Burnett has used one with Bonnie Raitt and Nashville musician Andy Cohen is one of the few virtuoso Dolceolists, today.